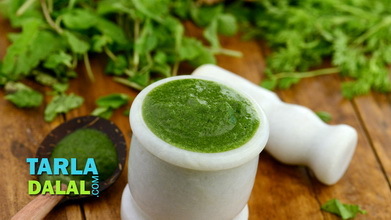 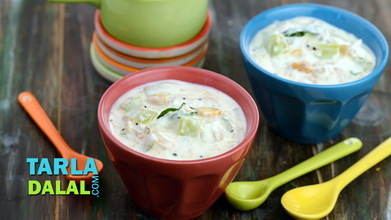 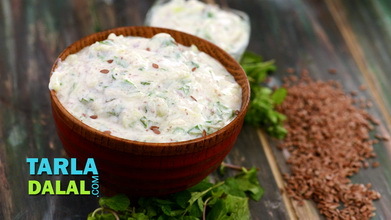 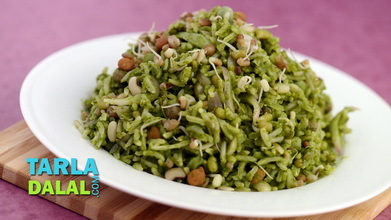 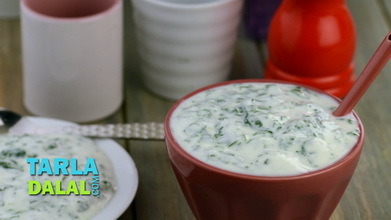 If you like to treat your palate to novel flavours, then you are sure to love this Kale Angoor ka Raita. 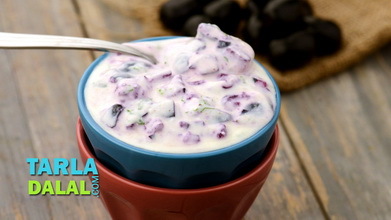 Made with a rare combination of chopped black grapes and whisked curds, this raita is made all the more tantalising by the addition of appropriate spice powders and black salt. 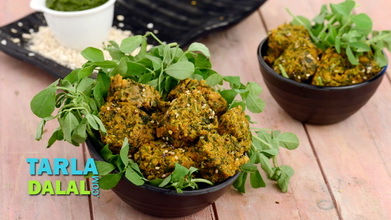 Choose ripe yet firm grapes so that you get a nice sweet flavour and are also able to chop it properly. 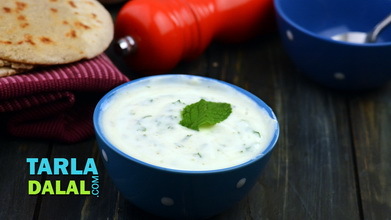 Make sure you keep the raita refrigerated till you serve it, because it won’t taste good if the curd becomes watery and sour. 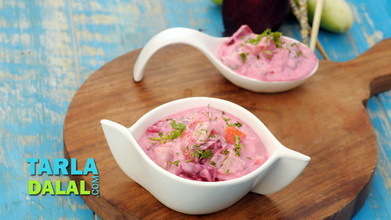 Refrigerate for at least 1 hour and serve chilled.